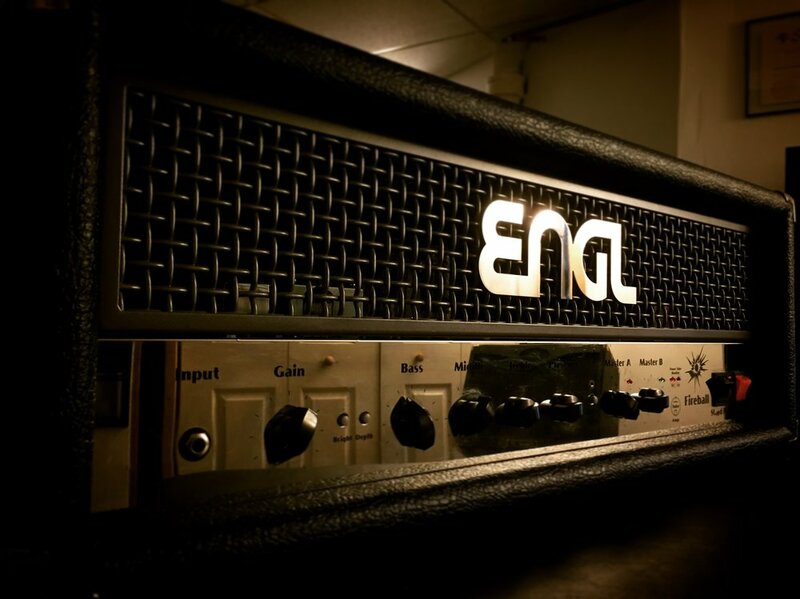 ENGL Amplifications founded by Edmund Engl in 1983 and produced in Germany, Czech Republic, and China. Solid construction overall. I’ve gigged with this head for about 2 years now and It never let up what so ever. The only thing I noticed was that the lettering faded away near the “Stand by” switch during this time frame. However, after seeing the newly revised version ENGL has put out. They powdered coated the entire face-plate matte black with white lettering to make it both more visible and durable. Since I got this particular head used. I won’t know exactly how a freshly manufactured Fireball 60 would sound like but, will revisit this blog when that time comes. In the mean time my impressions are as follows. More than enough “laughs” you honestly do not need to add an OD in front of this head but you do get different textures when you do. When adding a TS-9 in front it tends to feel a bit more spongey-ish but when adding a TS-808 it’ll feel more fluid like. So experiment and leave comments below about your sonic endeavors! The bass knob is very musical and feels like it sits in the 70k - 85k spectrum. Doesn’t feel over powering with the sub lows at all, but still ballzy and tight. The mids is very pleasant but sounds crushing as well. You can dial in a nice rock tone or a scooped 90’s nu-metal tone with ease. The treble and presence knob is quite the pair. you can almost dial in any cab and speaker with these two to tame the highs. This head also has two master volumes with “Master A” Controlling the Clean/OD tones, and “Master B” for the monstrous lead tones. I installed a Svetlana 12AX7 in the V1 position which is the preamp tube closest to the front input jack. A JJ ECC803-S balanced gold pins in the phase inverter which is located farthest from the input jack. Last but not least a set of Solvtek 12AX7WC in the remaining two slots. I find that this combination of preamp tubes tames the extreme fizz and overall saturation so you can add a boost pedal without it becoming obnoxiously noisy to add unique texture to the amp. It tightens up the lowend and the string sensitivity is more accurate for the extreme alternate picking players. I give the 1st Gen ENGL Fireball 60 a whopping. Purchase your ENGL Fireball or preamp tubes with the follow links below to support me!